Your site must be based or connected with Northamptonshire, UK. You add our logo and link (see the form page) to your website. that we deem to be unsuitable. 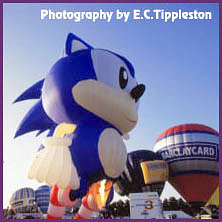 The Northampton Balloon Festival is an action packed 3 - day family event. displays, exhibitions and trade stands for all the family to enjoy.